so, so cute! i love the top they sent you. and the loafers. the loafers are so, so good. 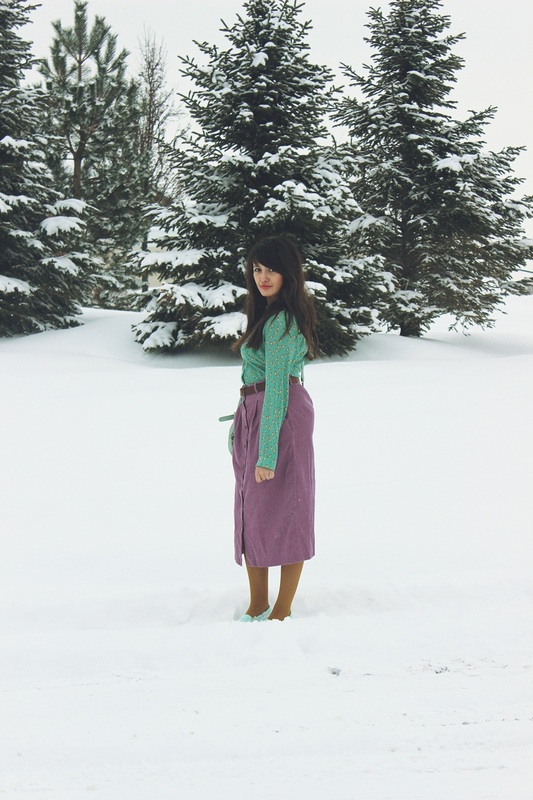 glad you're wearing the skirt now -- because you look darling in it. uhhh those loafers are to DIE for! LOVE. i'm a huge mint fan! super cute! the mint looks fantastic in the snow! I love this color combo! And the colors really pop against the snow. Mint Madness! 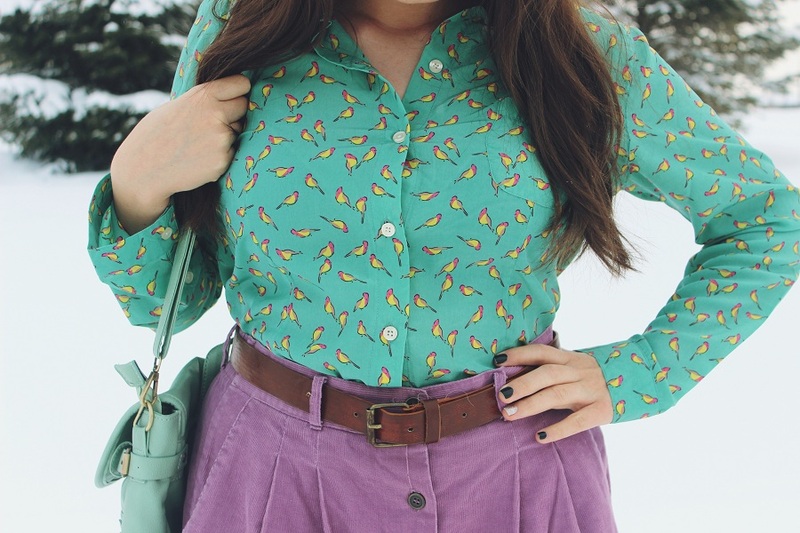 I just adore those little birdies and mint loafers. 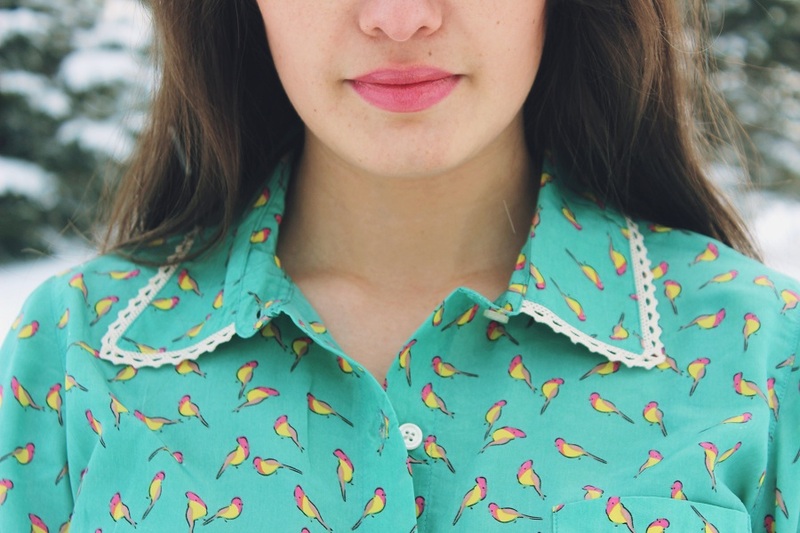 love this top with the birds!! 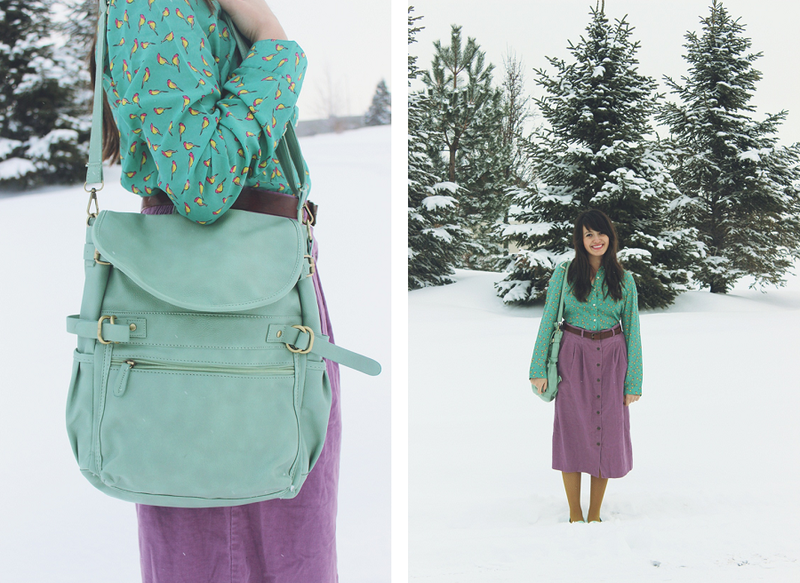 and i love how you paired it, i love mint in the winter it pops against the snow! 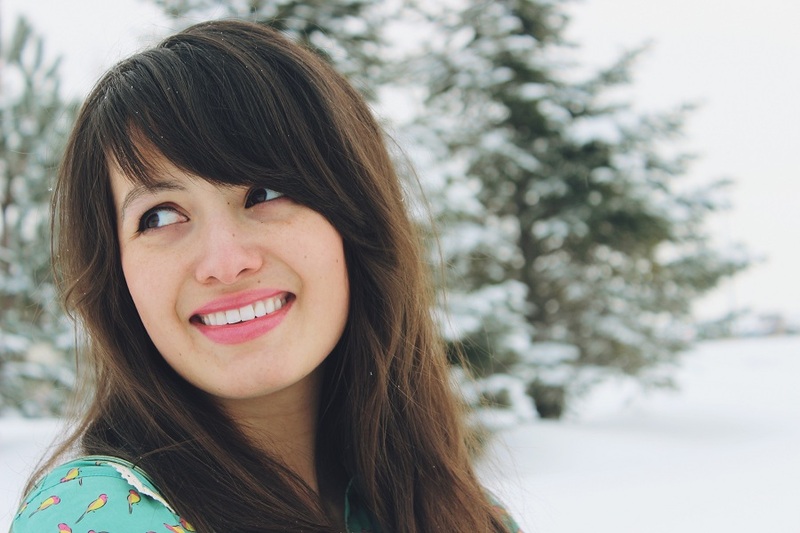 LOVE that pretty mint bird top! I have been loving mint too and am currently re-doing my room with pops of mint/ red/ pink all over :) Happy Friday have a great weekend! i love these colors against the snow. you look gorgeous! sorry... a little inappropriate maybe? very pretty with the back ground. I wish we had snow!! Love that mint color. Stunning post! The colours in the outfit are great and also look well with your settings! You have photographyed your outfit very well! You are simply the cutest! Adore this shoot! So cute!! 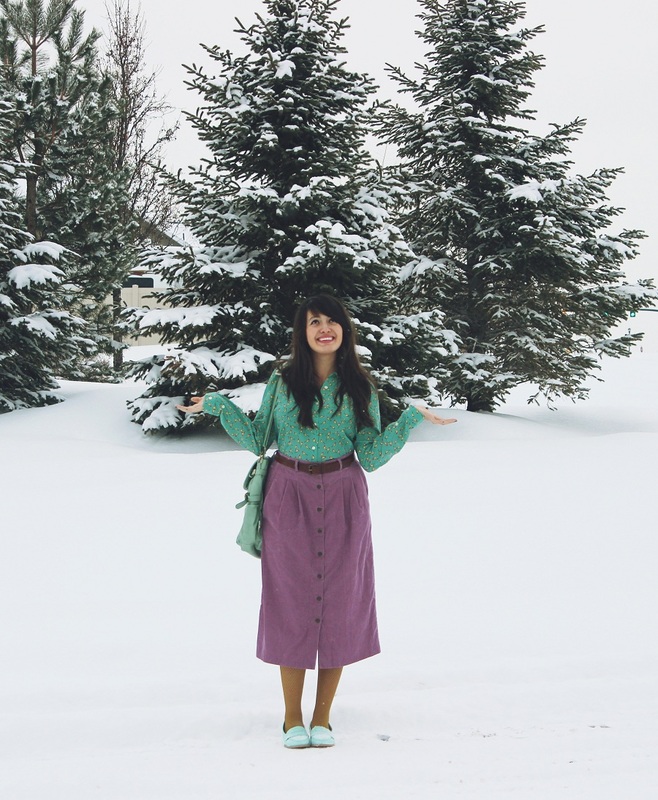 I love the mint and Lavendar combo and the snowy background. That shirt is so darling with the bird print and I love your shoes too! LOVE those two colors together and i'm so jealous of your shoesss! I love the retro look of that outfit!